Henry Lane from Auckland will use his 2016 Fulbright Science and Innovation Graduate Award to research the phylogeography of the oyster parasite Bonamia at the College of William and Mary, Virginia, towards his PhD in Zoology from the University of Otago. Henry graduated with a BSc in 2011 and an MSc (First Class Hons) in 2013 from Victoria University of Wellington. 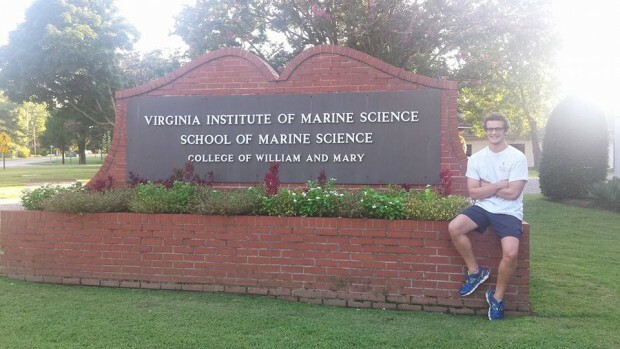 As a visiting student researcher I’ve been working at the Virginia Institute of Marine Science (VIMS), College of William and Mary, within Prof. Ryan Carnegie’s Shellfi sh Pathology Research group. 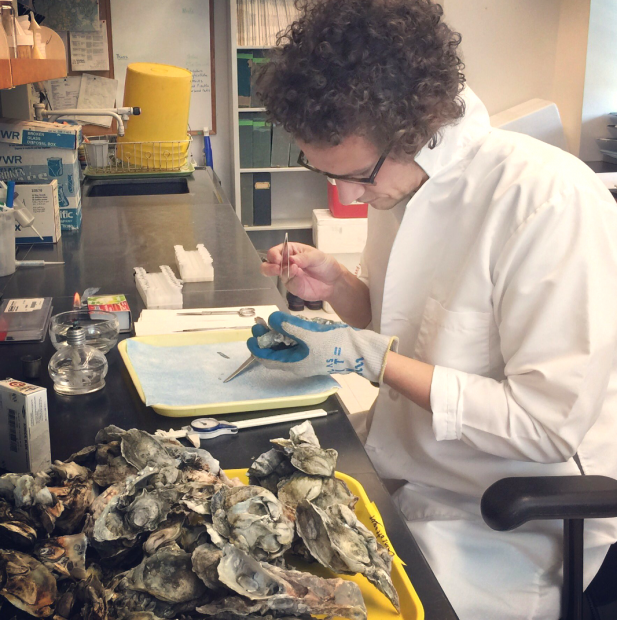 Academically, I have been immersed equally in enhancing my own PhD thesis through newly acquired skills and information gathered, as well as new projects that centre on elucidating the evolutionary relationship between the valuable Chesapeake Bay oyster fishery and parasitic disease. The memorable times on the road for fieldwork along Virginia’s Eastern Shore, surf trips further abroad, and visiting my Fulbright buddy – Dr. Dominique Didier – in Pennsylvania, have been balanced with equally memorable times at home in Gloucester Point. There, amongst other things, I have gone fi shing, played in the inaugural staff-student softball game, experienced a proper American Halloween complete with pumpkin carving, enjoyed a Thanksgiving feast (including a homemade Kiwi pavlova! ), and trawled through the plethora of local Virginian breweries with accompanying local seafood. All of these experiences have not only enriched my knowledge of the USA – whether it be culturally,biogeographically, or politically – but it has provided a new perspective on how I look at New Zealand which has enabled me to have a far greater understanding of my own country. As I approach the halfway point of my exchange I look back at the personal and academic relationships I have forged and I look forward to the new relationships that await from upcoming events in the New Year. If the second half of my exchange is as enlightening as the fi rst then I will indeed return to New Zealand more enriched that I originally could have hoped for. For now, however, it’s time to get into the festive cheer with my VIMS peers and hope for a white Christmas.